Hand tied bouquet in cerise and white with silver willow presented in a stylish black bag/box is a perfect gift for any fashinista! The florist creating your gift will use their discretion when selecting flowers to ensure you have the very best on the day! 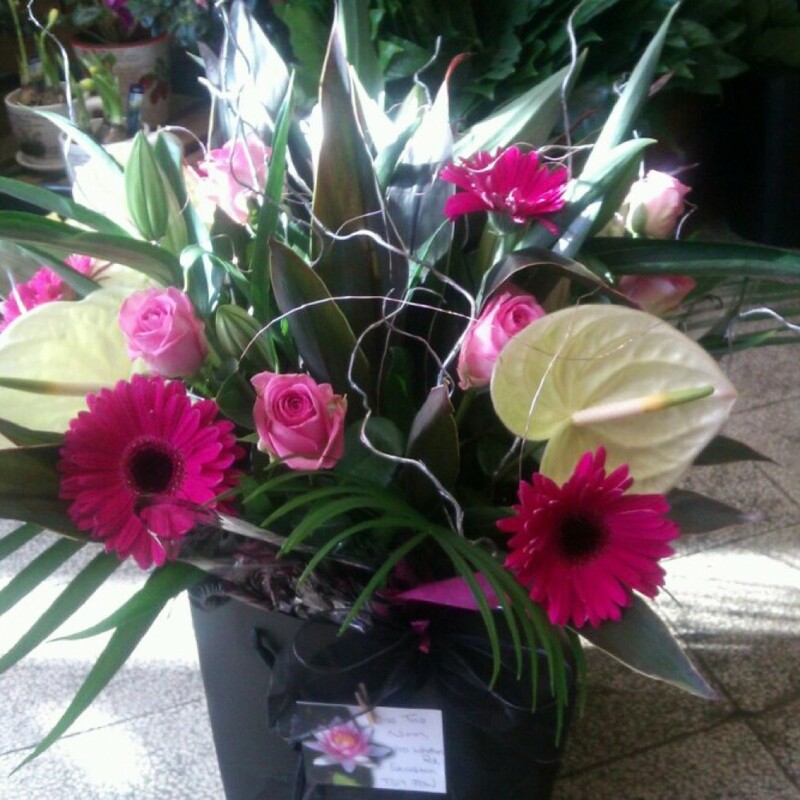 This bouquet is a hand tied design delivered in water so care must be taken when handling! It is arranged ready for the recipient to simply sit back and enjoy! We would advise that this display be unpacked within 2 days and placed into a suitable vase. This gift is available for same say delivery in Middlesbrough and surrounding areas. Image is for colour and style choice only and exact flowers will vary from picture shown to ensure you get the best on the day, if you have any preferences please state when ordering. If you have particular flower preferances please try to give 24 hours notice on your order so we can try to source the flowers for you in the case that they aren't in our usual stock. Please note the picture is for colour/design choice only and the exact contents of the bouquet may vary to give you the best design on the day.